Sara Linda Poly grew up in the Philadelphia area, attending classes at the Philadelphia College of Art. Further education includes Montgomery College of Art and Design in Maryland and Northern VA Community College, and various studies with local and national artists. Sara went on to own a small illustration and design business, and later worked as the assistant gallery director at the Art League Galley, in Alexandria, VA. She is presently an instructor at the Art League School. Known for her sweeping skies and light in the landscape, Sara has been the winner of numerous awards and a participant in many regional and national shows and plein air competitions. Feature articles include International Artist Magazine and Plein Air Magazine. 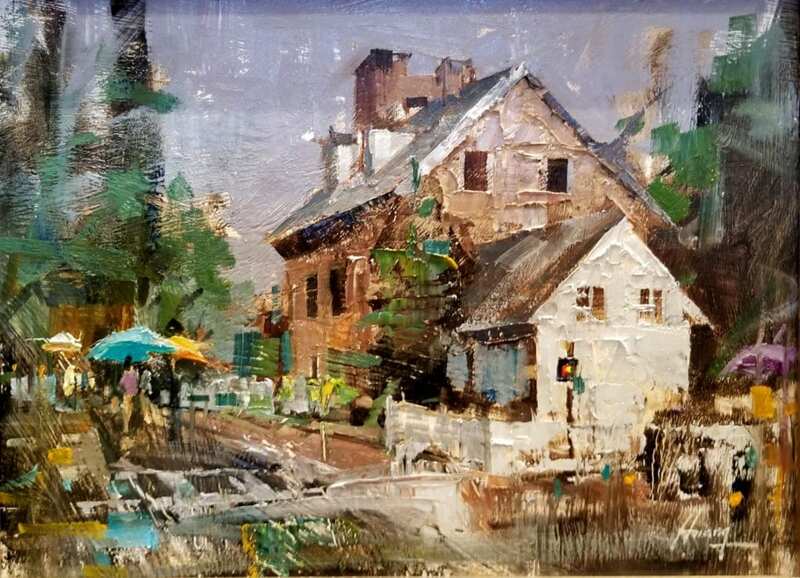 Awards include First Place, International Artist Magazine, Best Maryland Artist 2012, the Grand Prize winner at Plein Air Easton 2016, and First Place in the Small Paintings competition at Plein Air Easton 2017. The artist has spent many years living, traveling and teaching around the US, Europe and Mexico. Memberships include: The Oil Painters of America, The Washington Society of Landscape Painters, and The Salmagundi Club, NYC. Click here to see a sample of Sara Linda Poly’s work. A Private Villa overlooking vineyards and mountains. A Private Chef who makes us awesome dinners. Gorgeous Views from all over the property just steps away. Painting at Castello di Montefugoni, the castle next door! An excursion Day includes wine tasting and historic towns. Included will be: lodging, all meals and wine, including a private chef for dinners, and transportation to historic towns. Private Villa has a large pool and air conditioning. We are looking forward to sharing this great experience!